Ruben Anders passes on the news that the Dutch Annual "More Than 24 Hours Le Mans 2005" was delivered from the printers today - so it is available immediately, and can be ordered on-line from the www.morethan24hours.com website. These images give a flavour of the book, which is packed with hundreds of photographs, plus text (in English) covering each phase of the meeting (beginning with the test day two weeks before the race). 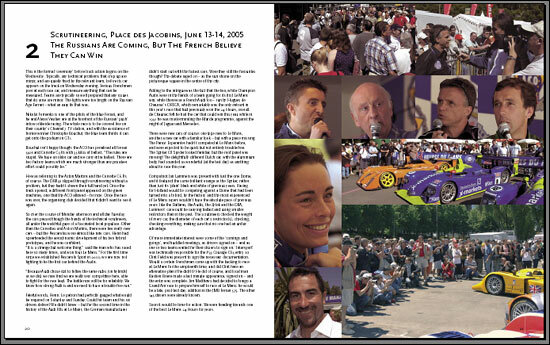 In addition, a double page of images is devoted to each entry in the race. 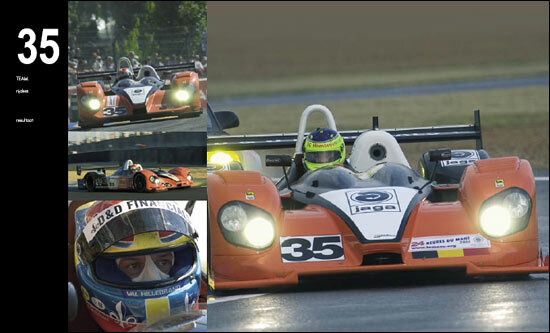 The foreword is provided by four of the 2005 winners - Tom Kristensen, Tommy Erdos, Oliver Gavin and Leo Hindery. The book is priced at € 47.50. Click the link above to order the book (and/or the 2004 edition) on-line - and use the "please contact me" button on the website if you require more than one copy.